This e-book is one-of-a-kind! Packed with 40 years of experience from a Futures Training Director, National Futures Sales Manager, Floor Manager, and National Product Manager, all rolled into one. 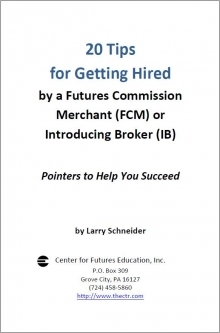 Larry Schneiders e-book overviews the job, objectives, and goals of being a futures broker who works for an FCM, IB, or CTA. 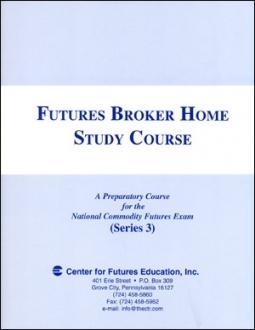 It succinctly states Mr. Schneider's recommendations for creating the mind-set needed to be a successful futures broker. He gives 20 hot tips for getting started on the right track, deciding exactly what kind of futures broker you want to be, preparing for interviews, interviewing, PLUS invaluable advice for after you've landed the job. Jump-start your career as a futures broker today!